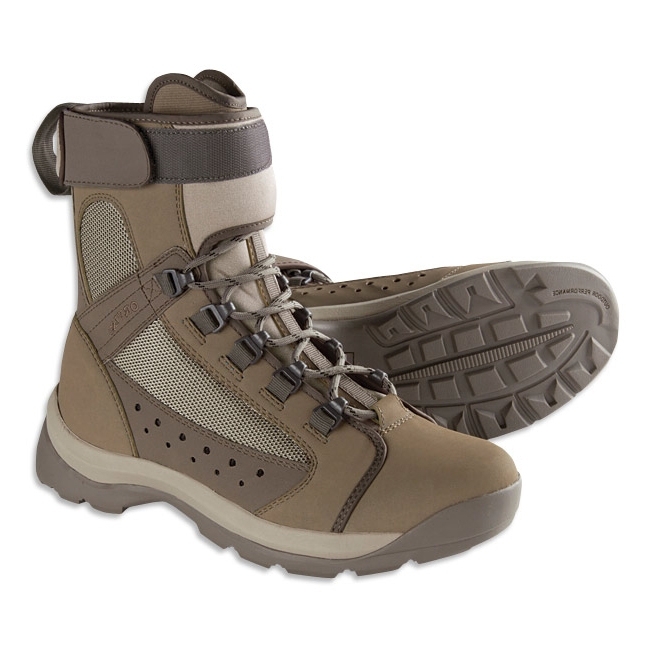 Orvis Andros Flats Hiker Wading Boots. A flats fishing boot designed to be worn barefoot with all day wading comfort. 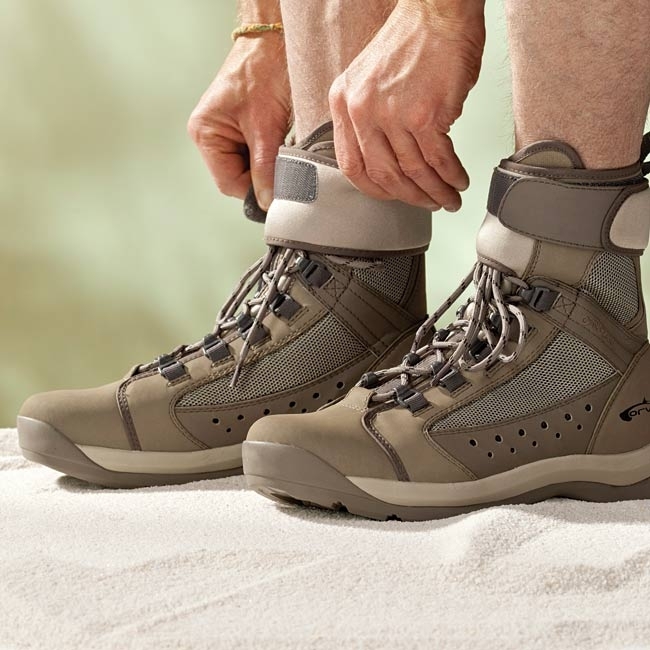 The boot features an integrated, fully adjustable neoprene gravel cuff that allows the user to create a tight, but comfortable seal at the top of the boot to keep debris from irritating the foot. Cuff also serves to keep the excess laces under control. Screened drain holes allow water to easily flow from the boot while keeping sand and gravel out. The flats fishing boot is fully-lined for all day comfort while hiking the flats. Non-marking sole is safe for boat decks. Well made sturdy supportive perfect for wading miles miles of fishing flats.